László Moholy-Nagy was a Hungarian painter and photographer and noted professor in the Bauhaus school. 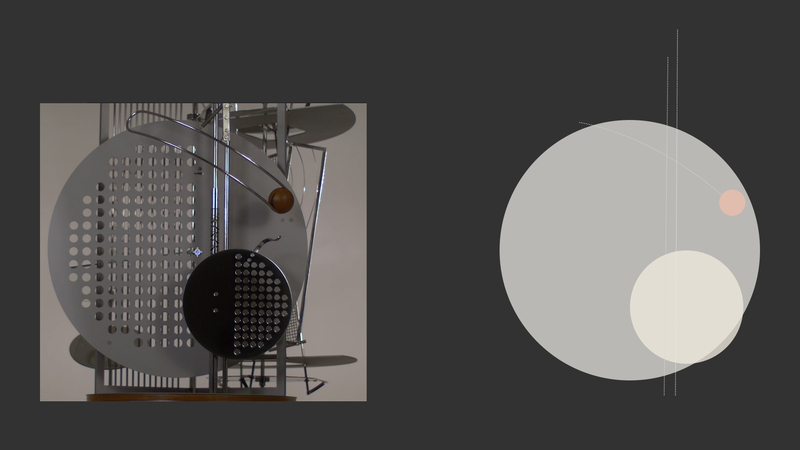 While working at metaLAB at Harvard, I had the opportunity to photograph Light Prop for an Electric Stage, a kinetic sculpture by Moholy-Nagy, which was originally introduced at an exhibition in Paris in 1930. The original now resides permanently in the Harvard Art Museums, and its replica, which I had the chance to photograph and video at the Harvard art conservation facility, was recently exhibited at the Guggenheim Museum in New York City. The impetus for the project was, in part, to supplement scholarly comparison between the original and the replica, which was created with some departures and engineering improvements upon the original, which in of itself had some mechanical stuttering due to its improvised components, some being bicycle parts. 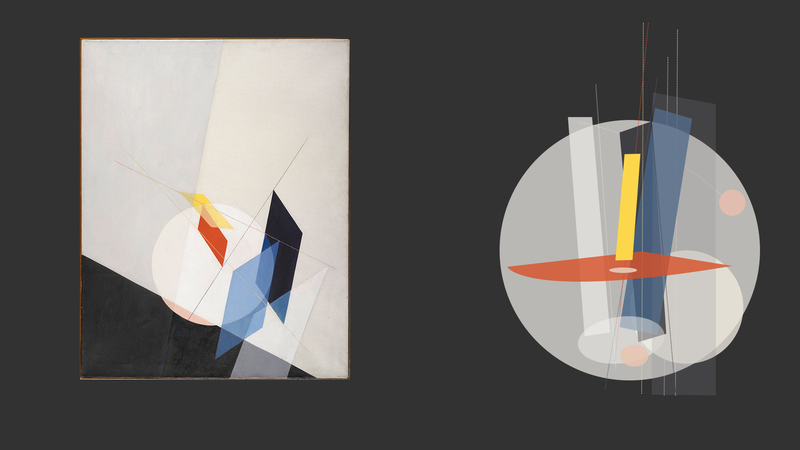 In the course of this project, I came upon a painting by Moholy-Nagy with similar geometries as the sculpture. Using reference images from the video I shot of the sculpture, I did some selective vector tracing on top to draw out the geometric similarities with the painting. Images detailing this process and results below. 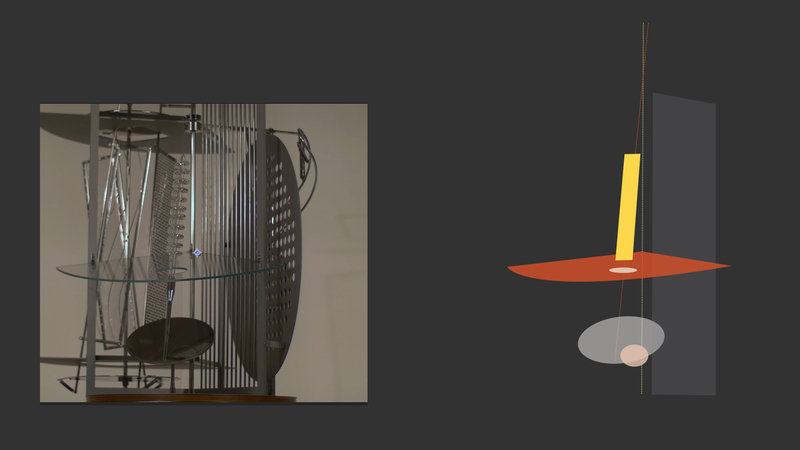 How vector pieces were made from three different parts of the kinetic sculpture, Light Prop for an Electric Stage. 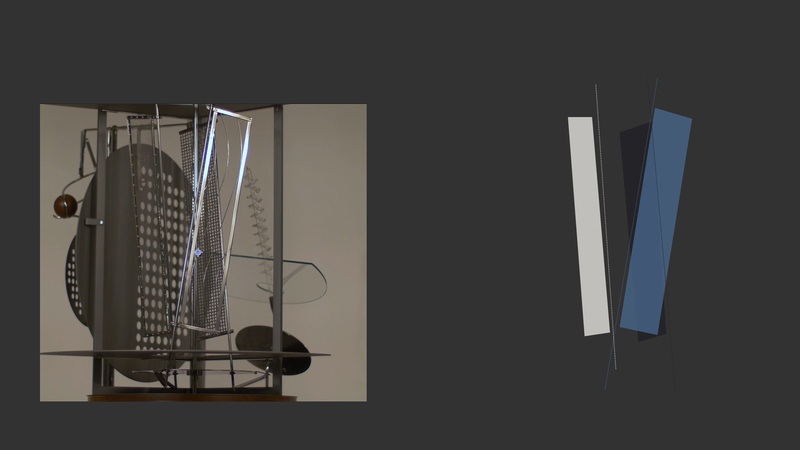 Drawing from my love for futurist play with the depiction of motion, I collapsed the source images (left) and vector tracings (right) to consolidate viewpoints from different moments in time into one spatial instance. 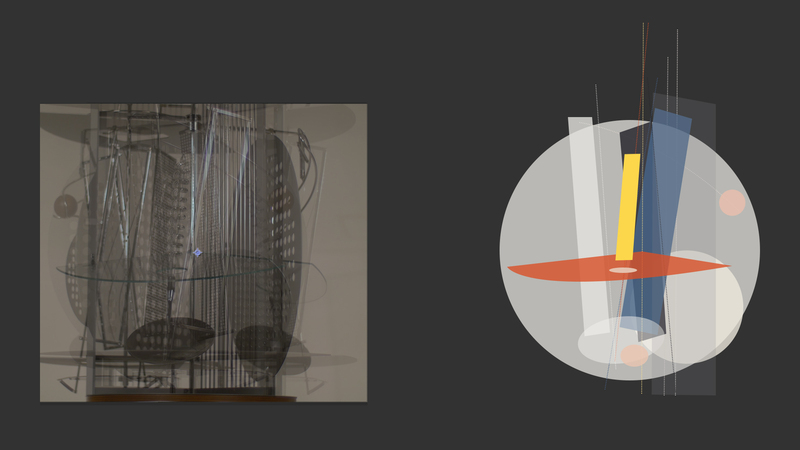 Hey Buddy!, I found this information for you: "Geometries of Moholy-Nagy". 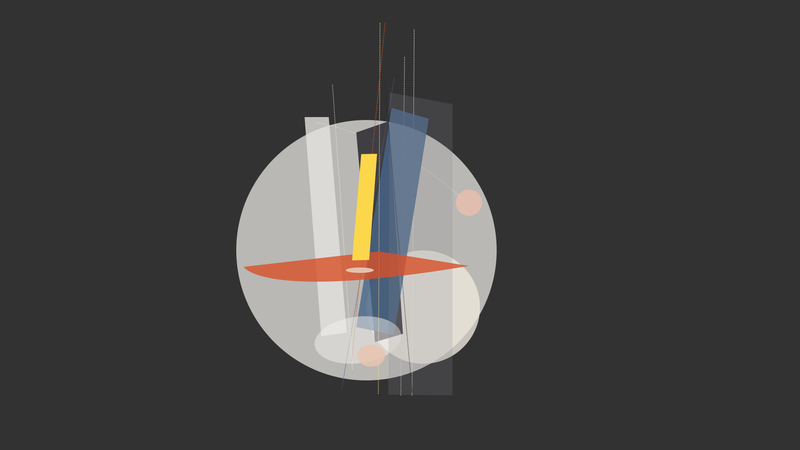 Here is the website link: http://devsite.cristoforomagliozzi.com/design/geometries-of-moholy-nagy/. Thank you.